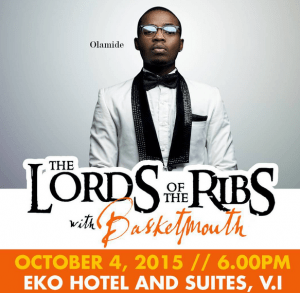 Comedian Basketmouth is set for October 4, 2015 when he will be hosting his regular show ‘Lord Of The Ribs’. 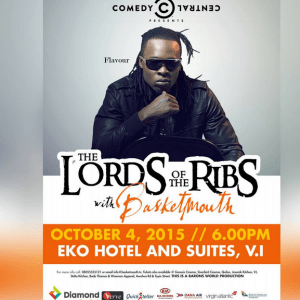 The Comedian recently headlined three fans favourite on his social media page instagram. 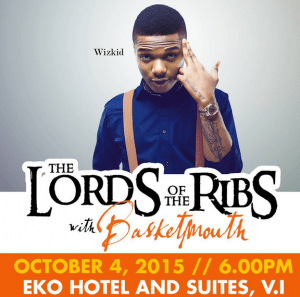 Wizkid will be performing live at the event alongside other pop stars like Olamide and Flavour.